Hey everyone! I hope you all had a great weekend. Mine was busy and amazing. On Friday I hung out with my mom and BFF all day. We have this thing in Kentucky called the "400 mile yard sale" where the entire highway of US 68 has yard sales all weekend. We were exhausted but we still went to the drive in later that night and saw the Angry Birds movie..highly recommend! On Saturday my cousin, who is like my little sister, got MARRIED! Yes, I cried like a baby. 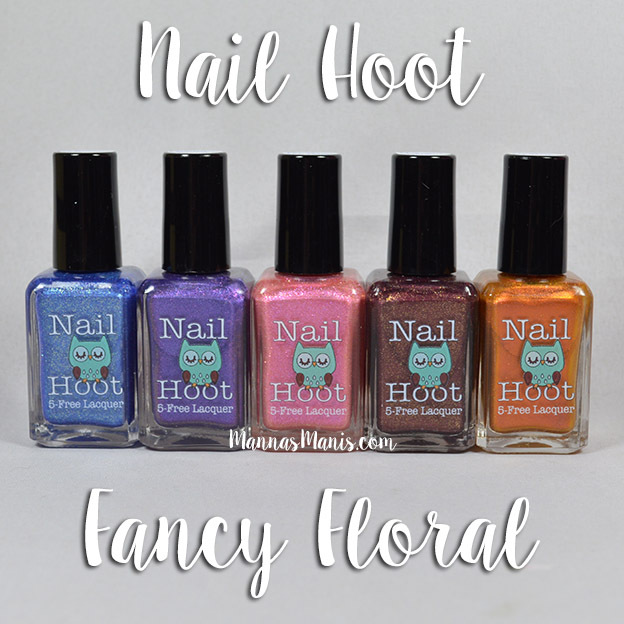 Anyways, Nail Hoot has released a 5 piece collection called Fancy Floral a while back for pre order but then had to close while she moved. I waited to show these until her store re opened, and it did yesterday! 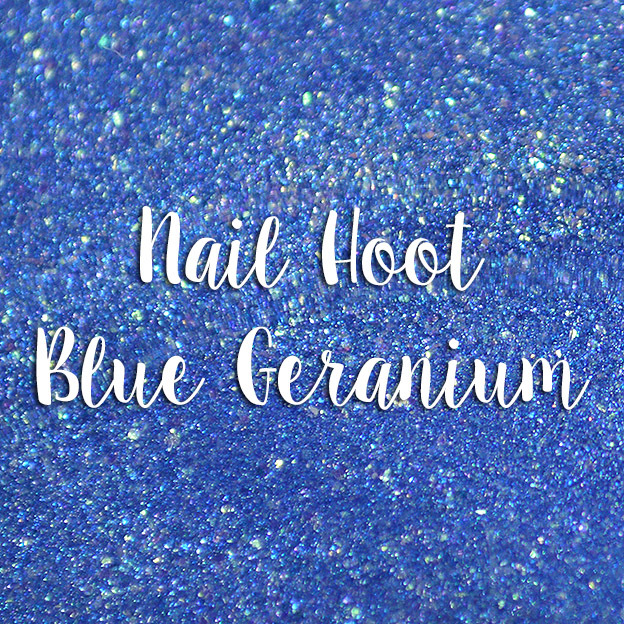 Description: This beautiful blue polish has heavy shimmer for a wonderful shine. 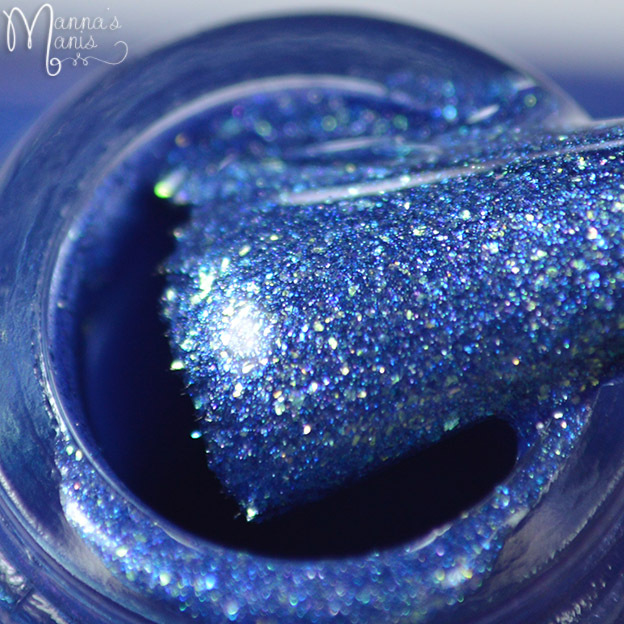 It is opaque in two coats and reminiscent of a pretty blue Geranium. Application & Formula: Thick formula, it will drag if you don't wait in between coats. Otherwise, easy formula and application. 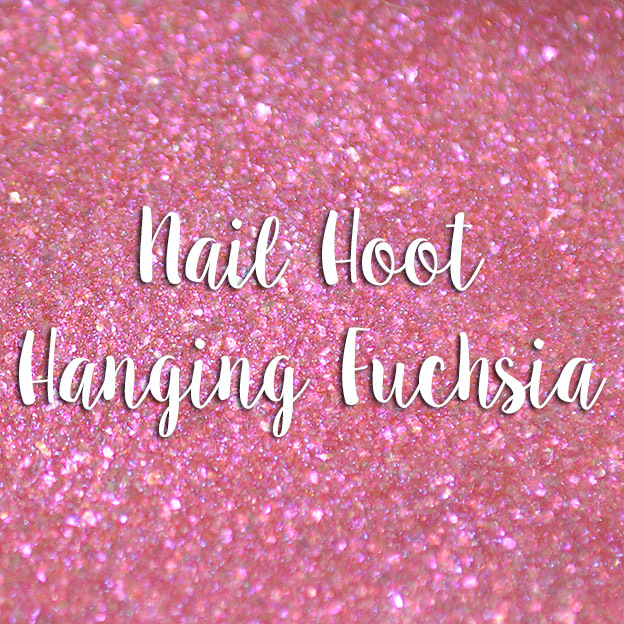 Description: This lovely pink polish has heavy shimmer and is designed with my favorite flower in mind - the hanging fuchsia. It is opaque in two coats. 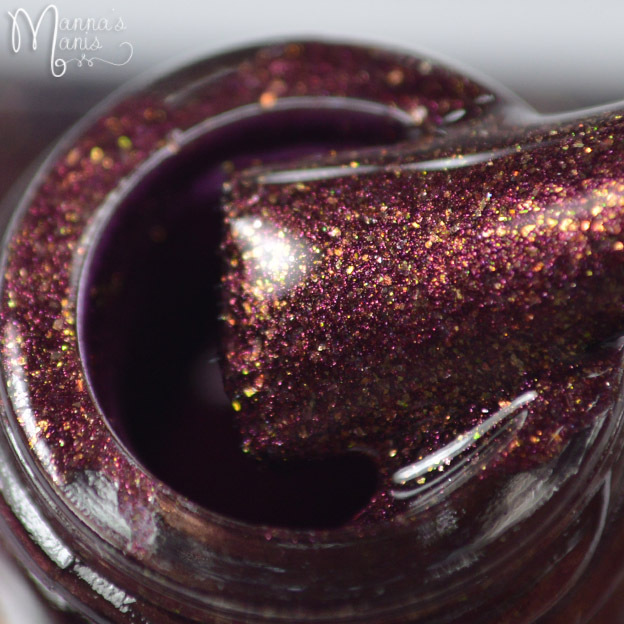 Description: This unique polish is a brownish-red with a lovely sheen and is opaque in two coats. 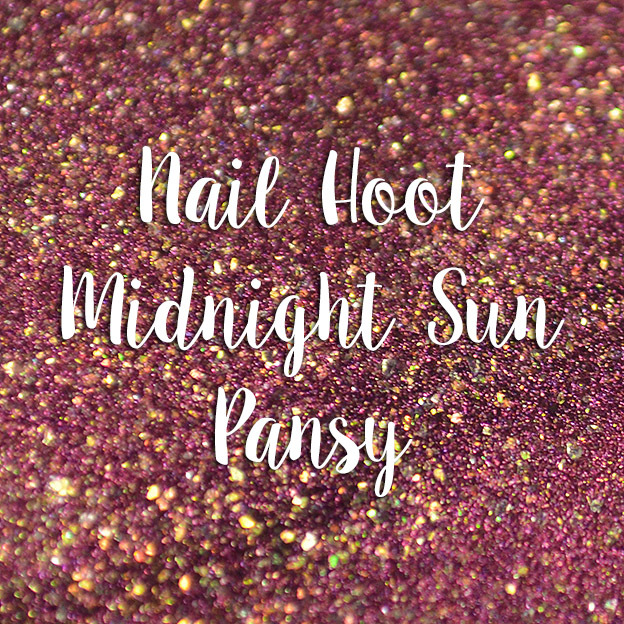 The inspiration for this polish comes from the lovely Midnight Sun Pansy. 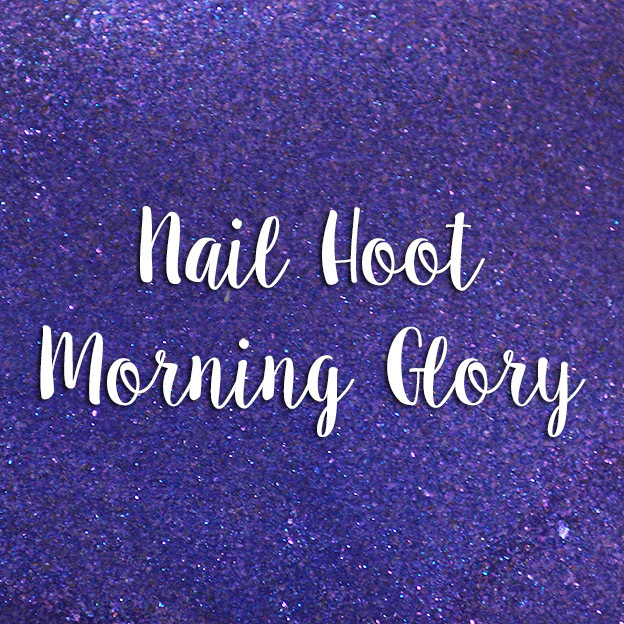 Description: This is a gorgeous purple polish with heavy blue tones. It is opaque in two coats. The inspiration is the delicate Morning Glory flower. 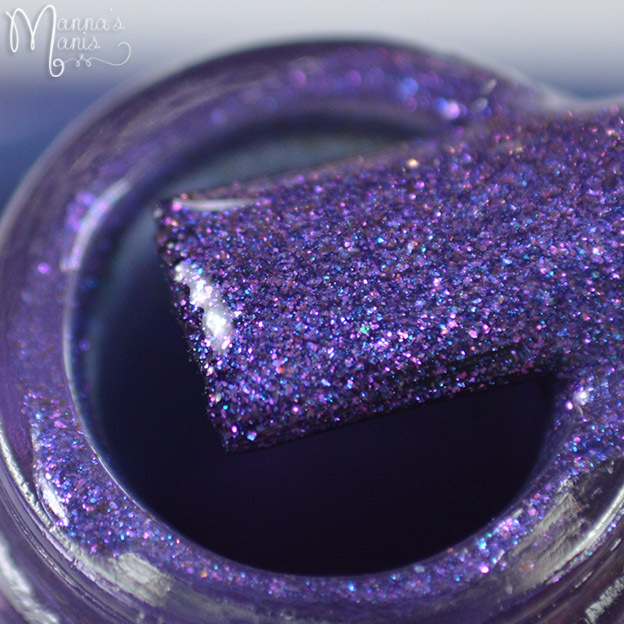 Application & Formula: Slightly less thick formula, it will drag if you don't wait in between coats. Otherwise, easy formula and application. 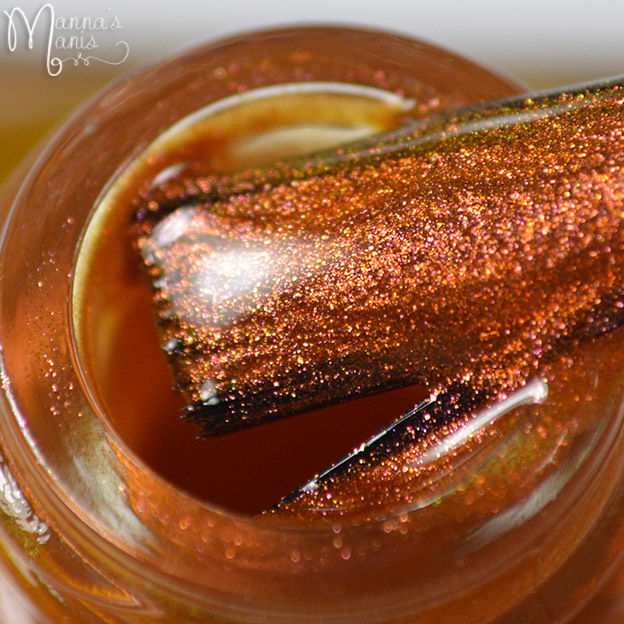 Description: This pretty polish is orange with hints of pink and yellow. 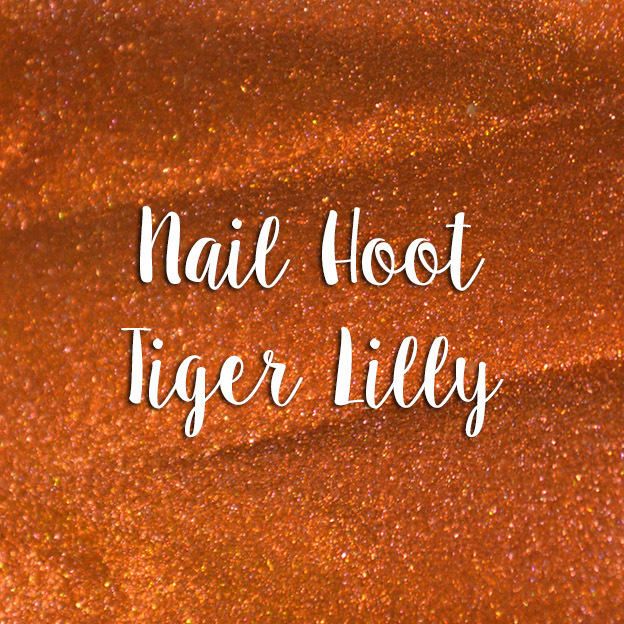 It is opaque in two coats and inspired by the awesome Tiger Lilly flower. Final thoughts: I know I said these have "thick" formula, but not in a bad way. They're still easily workable, but are a tiny bit more thick than I usually prefer. Beautiful colors, and my pics don't do the color shifts justice! Price & Availability: Available June 13th. $7 for individual full / $33 full set / $23 full mini set.